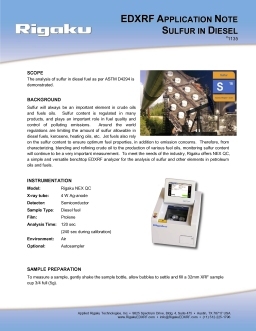 EDXRF | XRF for Sulfur in Crude, Diesel, Bunker Fuel - Applied Rigaku Technologies, Inc.
All Rigaku EDXRF analyzers have inherent multi-element analysis capability. 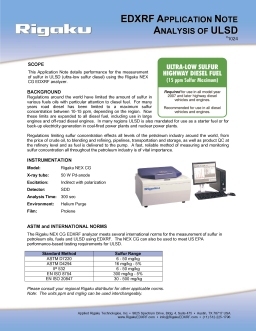 For example, Rigaku NEX QC is capable of measuring more than just sulfur. 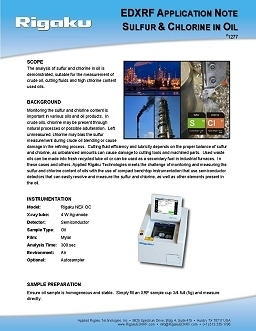 Multi-element analysis is important for detecting crude oil contamination or adulteration by the presence of salt and other chlorine-bearing compounds. 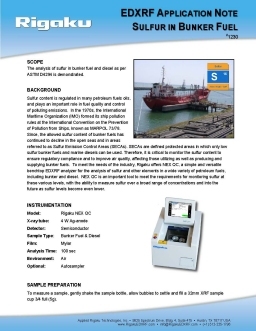 Left undetected, the presence of Cl can bias the S reading high, and potentially leave the presence of Cl unnoticed. 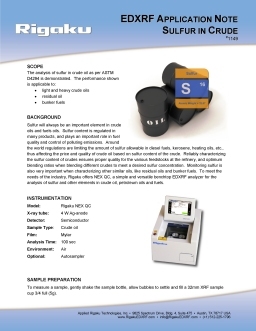 NEX QC has the ability to detect Cl and other elements, and correct for the presence of Cl so that it does not bias the S reading.